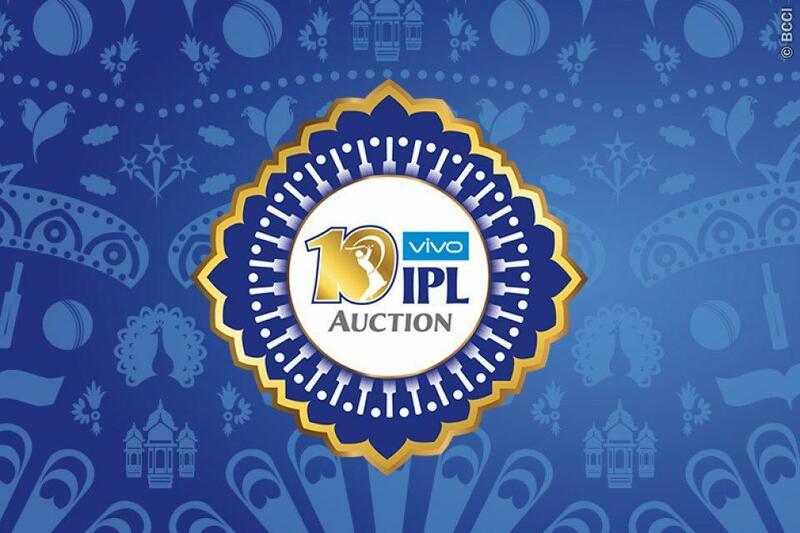 The VIVO IPL Auction 2017 is all set to take place on February 20 in Bengaluru. Like every year, this season’s auction only gets bigger and better. While 2016 season of the league saw two new teams – Rising Pune Supergiant and The Gujarat Lions, this season too promises to have some competitive biddings for a few marquee players who will make their debut. A total of 359 players including 130 overseas players will go under the hammer. The pool comprises 62 batsmen, 117 bowlers, 150 all-rounders and 30 wicket-keepers. 229 uncapped players are waiting to make their debut this season inclusive of 5 players from Afghanistan. Seven marquee players – Ben Stokes, Eoin Morgan, Angelo Mathews, Patrick Cummins, Mitchell Johnson, Ishant Sharma and Chris Woakes have the highest reserve price of 2 crore whereas 15 players fall under the reserve price of 1-1.5 crore. Will the franchises look to add a few big names to their squad or go for some lesser known utility players and add to their bench strength? Tune in here on Monday morning get LIVE updates from the 2017 IPL Auction as an exciting auction process awaits! lol, asi awein School jande rahe. With no clarity over the retention policy for the next edition of the Indian Premier League ,the franchises were expected to pull back on big bids. As things turned out in the 2017 Indian Premier League Auction on Monday (February 20) in Bengaluru, Ben Stokes was bought for record Rs 14.5 crore by the Rising Pune Supergiants while a number of pacers too attracted huge bids. Heading into the auction, Ben Stokes was always expected to pull huge sums. As it turned out he fetched bids from four teams - Mumbai Indians, Delhi Daredevils, Sunrisers Hyderabad and Rising Pune Supergiants. Even before Richard Madley, the auctioneer, could complete his sentence, Mumbai had their paddle up. As things turned out, he went to Supergiants, who spent 82 percent of their purse for the services of Stokes. With Steve Smith, Mitchell Marsh, Usman Khawaja, Faf du Plessis and Adam Zampa already in their attack, they made a valuable addition to the team. There are chances that Stokes will have to leave the tournament early if ECB ask him to play against Ireland in the two One-Day Internationals. He's expected to take Marsh's spot in the XI with Supergiants likely to fill up the remaining three spots with Smith, du Plessis and Zampa. "We have many heroes, but this is one hero we were lacking," team owner Sanjeev Goenka said on the decision. Whether Stokes translates the faith into performance, only time will tell. One thing is for sure, there's going to be a lot of pressure on him. Heading into the auction, Royal Challengers Bangalore were dealt with an unkind cut when Mitchell Starc decided to end his association with the franchise to manage his workload. Bowling has been their achilles heel and they were always expected to go for overseas pacer. However, when they bought Tymal Mills for Rs 12 crore, that opened up a new headache for them. With Chris Gayle, AB de Villiers and Shane Watson expected to take up the three overseas slots in the playing XI, they will have juggle with Mills and Samuel Badree, considering the West Indies spinner is fit to play. With all his variations and Twenty20 expertise, Royal Challengers have made a smart buy, considering their power-packed batting line-up and they now boast of the most potent attack on paper. Kolkata Knight Riders were forced to release Morne Morkel for two reasons - major injury concerns and his availability concerns. They were bound to go for an overseas pacer and bagged Trent Boult for a decent sum. The left-arm pacer from New Zealand has emerged as the much improved bowler and ended with figures of 4-0-8-2 against South Africa in his last outing in a Twenty20 International. He's most likely to start in the playing XI considering they don't have Andre Russell to open the attack and will collaborate with Shakib Al Hasan, Sunil Narine and most likely Chris Woakes, whom they bought for 4.2 crore, to fill up the overseas slots. Delhi Daredevils already had three players who are bound to leave the tournament early - JP Duminy, Chris Morris and Quinton de Kock. They added another name to that list when they bagged Kagiso Rabada. Having released Nathan Coulter-Nile, they made a pretty impressive buy considering the improvement Rabada has shown in the last one year. If Mohammed Shami is fit, Rabada and the Indian pacer will make a pretty potent pace bowling combination to start. However, considering they already have the likes of Carlos Braithwaite, Morris, de Kock and Sam Billings in their ranks, the think-tank - Rahul Dravid and Paddy Uption - will have to do a lot of juggling to find the perfect combination. With Zaheer Khan, against subject to fitness, and Amit Mishra in their arsenal, they've build a very strong bowling line-up that'll hold them in good stead. After Jason Roy was unsold in the first round, franchises recalled his name in the post-lunch session and he was snapped up by Gujarat Lions for his base price. With Aaron Finch, Dwayne Smith and Brendon McCullum in their ranks, the right-hand opener from England will be presented with only a few opportunities. Flamboyant and aggressive right from the start, one thing that'll work against him is his weakness against spin. Roy comes into the picture only if either McCullum or Smith pick up an injury. However, with no clarity over Dwayne Bravo's fitness, who'll join the squad only in May, Roy can be accommodated in the playing XI with some serious shuffling of the batting order. Mumbai added Karn Sharma to their ranks specifically because they were looking for a legspinner. With Krunal Pandya doing well last season, he'll have to compete with him to earn a place in the XI. What works in Pandya's favour is his superior batting abilities and more importantly, his ability to crank it up in the death overs. Mumbai have a number of spin options with Shreyas Gopal, J Suchith and Karn in their ranks. With the auction approaching, T Natarajan's name had been doing rounds among the uncapped players' list that had a promising chance. When Cricbuzz ran a poll asking its user to vote for their pick, the Tamil Nadu pacer led the charge with 21.6 percent votes in his favour. His left-arm angle and his ability to fire yorkers at will make him stand out. Natarajan bowled six consecutive yorkers in the Super Over in the Tamil Nadu Premier League game against Tuti Patriots to lead his team to a win. Natarajan had a fruitful Ranji Trophy as well, picking up 24 wickets from eight games at an average of 33.79. Mohit Sharma and Sandeep Sharma are likely to be the preferred pacers in the XI and if the franchise decides to go in with three Indian pacers, only then Natrajan is likely to come into the picture. Soon after Mohammad Nabi became the first Afghanistan player who'll play in the IPL, Rashid Khan stole the limelight when he was bagged by Sunrisers Hyderabad. The leg-spinner will join Nabi in the squad but with a number of overseas options with them, it'll be interesting to see how Rashid, and Nabi for that matter, feature in the playing XI. Sunrisers needed a spinner in their ranks with only Bipul Sharma as the frontline spinner and Deepak Hooda to back him up. With David Warner, Moises Henriques and Mustafizur Rahman filling up three overseas slots, they'll have Ben Cutting, Nabi and Rashid fighting for the last overseas slot. While the experience will certainly help the Afghanistan duo, there aren't going to be a lot of opportunities. As expected, there were a couple of big buys, economy picks and some surprises during the 2017 IPL auction. What was heartening to see was two Afghanistan players and one UAE cricketer being picked. Ben Stokes became the most expensive overseas buy in IPL, bought by Rising Pune Supergiants for Rs. 14.5 Crore. His England team-mate, Tymal Mills, was the second highest buy of IPL 2017, going to the RCB franchise for a sum of Rs. 12 Crore. Mohammad Nabi, the Afghanistan allrounder, was picked by SRH for his base price of Rs. 30 Lakh while his Afghanistan team-mate Rashid Khan was purchased by the same franchise for Rs. 4 Crore. Chirag Suri, the UAE cricketer, went to Gujarat Lions for Rs. 10 Lakh. There were a few surprises as well, with the likes of Imran Tahir, Ishant Sharma and Irfan Pathan finding no bidders. That fact that Tahir, the No. 1 ranked T20I bowler, was ignored, was one of the important talking points of the auction, along with the selection of the England players. T Natarajan, a promising Tamil Nadu pacer, and K Gowtham, the Karnataka all-rounder, were among the unheralded players who earned the big moolahs. Read their story, here. The franchises have been given the option to resubmit more names, but none are interested in any more buys. So, that's the end of the 2017 edition of the IPL auction. Tymal Mills on being picked in the IPL auction: It is going to be a good challenge. It is going to be nice that I don't have to bowl at them (the likes of Virat Kohli, AB de Villiers, Chris Gayle and Shane Watson). The franchises have now been asked to submit a maximum of three unsold players who they wish to see again in the auction. Delhi Daredevils and Gujarat Lions have one slot open each while KXIP and MI have completed their quota of buys. SRH can add two more players, RCB can buy 3 more, RPS can also buy 3 more while KKR have 6 slots open. Chirag Suri (base price of 10 Lakh) - sold to GL at base price. Suri is a batsman who plays for UAE. Rinku Singh (base price of 10 Lakh) - sold to KXIP for base price. With that, KXIP have completed their quota of squad members. Mohammed Siraj (base price of 20 Lakh) - RCB start the bid, SRH join in. Bids have crossed 2 Crore. Mohammed Siraj sold to SRH for Rs 2.6 Crore. Imran Tahir (base price of Rs. 50 Lakh) - he re-enters the auction but surprisingly, no takers for him. Pragyan Ojha (base price of Rs. 30 Lakh) - unsold for the second time, Ish Sodhi (base price of Rs. 30 Lakh) also unsold. Nathan Coulter-Nile (base price of Rs. 1 Crore) - SRH and KKR enter the fray and the bids have crossed 3 Crore. KKR get Coulter-Nile for Rs. 3.5 Crore. Kyle Abbott (base price of Rs. 1.5 crore) goes unsold again. Jonny Bairstow (base price of Rs. 1.5 Crore) - The England wicketkeeper-batsman goes unsold again. Irfan Pathan (base price of Rs. 50 Lakh) unsold earlier and is unsold again. Chris Jordan (base price of Rs. 50 Lakh) - SRH begin the bid. No other team enters the fray. Chris Jordan sold to SRH. Sean Abbott (base price of Rs. 30 Lakh) re-enters the auction and goes unsold again. Saurabh Tiwary (Base price of Rs. 30 Lakh) - MI begin the bid and bag him at his base price. Jason Roy is back - base price of Rs. 1 Crore. Gujarat Lions begin the bid and are the only ones to bid. Jason Roy sold at his base price. Martin Guptill re-enters the auction at the base price of Rs. 50 Lakh. KXIP have opened the bid. Martin Guptill sold to KXIP for Rs. 50 Lakh. The afternoon session is set to begin. The franchises have submitted their preferences. Disappointing to not get Ben Stokes?Akash Ambani: "When you enter an auction you leave disappointment outside the room. They were options for us but we arent disappointed. We always had backup strategies. We knew what type of players we needed in our squad." Nita Ambani:"We have always backed youngsters. Were very happy to get these boys on board. That has been our core strength for a very long time. I have been involved since season 3. We got Shikhar [Dhawan] in and we had to let him go but we backed him and he has gone on to play for India. As soon as there is an opening they get the chance to play. The environment is very conducive too. You have guys like Sachin [Tendulkar] talking or Harbhajan [Singh] talking to youngsters. Ricky Ponting's exit: "Hes coaching Australia against Sri Lanka. He wanted to coach Australia and you know where Anil [Kumble] is right now. Our philosophy is as long as we can stable we would love it but if there are opportunities then we are happy for them. "Nita: "We also have Robin Singh and Jonty Rhodes we have had with them for a long time now." Akash on Gowtham: K Gotham is 27 and he has been in and round for a while. Everyone knows hes an off spinner and he can be a pinchy (batsman). More than anything we were looking for leaders and he will be an asset on the field. He knows what he can do with the ball but more than that hes a leader. Return of Mitchell Johnson:Nita: "Mumbai Indians we really have a very unique set up. We have seniors who are mentors and youngsters... Pollard was the only cricketer we bought in the third season and we really backed him. He continues to play for us now. Were really happy to have Mitchell Johnson back in our team. He played for us in 2013 when we won the title and it was great to see him bowl with Malinga. We hope he can win another title for us. Were happy to have him back." On Tymal Mills: "Our strategy is very clear. We need to get our first XI in order. Our ground is really small and our first innings score is roundabout 190. Especially with Starc not available, Tymal Mills was a great buy. We wouldve done whatever was required to get him. Hes a T20 specialist in our estimate and our view is that he will be available." Mitchell Starc? "I think this is a game about the product on the field. Players create the product on the field. When you have internationals players who have a tough workload, you need to find a solution. We love Starc. I hope hell be part of our plan as we go forward. Given the workload fast bowlers undergo, its hard. If we had insisted, he wouldve come in with that workload and increased the risk. Its as per regulations. It was planned. Pawan Negi: "Were looking at bowling options. We are looking at people who perform as allrounders and thats why we went for Negi. Negi will also suit Bangalore conditions well." The teams will now fill out a form, mentioning the players they are interested in. A luck break will ensue, followed by the afternoon session of the auction. Matt Henry (Base price of 50 Lakh) - KXIP open the bid for the New Zealand pacer. Matt Henry sold to KXIP for his base price. Jaydev Unadkat (Base price of 30 Lakh) - He played for KKR last year. RPS open the bid and get hold of Unadkat for his base price of Rs. 30 Lakh). Varun Aaron (Base price of 30 Lakh) - Played for RCB last season. DD open the bid and GL join in. DD back out and KXIP come in. Bids have crossed 2 Crore. GL back out. Varun Aaron sold to KXIP for Rs. 2.8 Crore. Manpreet Gony (Base price of 30 Lakh) - GL and KKR interested in the former CSK pacer. KKR are out, MS Gony sold to GL for Rs. 60 Lakh. Parvez Rasool (Base price of 30 Lakh) - He played for RCB last season. Unsold. Chris Woakes (Base price of 2 Crore) - KKR open the bid and SRH join in. KKR have bid Rs. 4 Crore for Chris Woakes, and bag him for the said amount. Another England player profiting from the auction. Karn Sharma (Base price of 30 Lakh) - MI and GL are interested and bids have crossed 1 Crore. Gujarat are out at Rs 3.5 Crore. MI bag Karn Sharma for Rs. 3.2 Crore. David Wiese (Base price of 30 Lakh) - Played for RCB last year, unsold this year. Rishi Dhawan (Base price of 30 Lakh) - RPS and KKR interested, RPS out. Rishi Dhawan sold to KKR for Rs. 55 Lakh. "If you have an Indian all-rounder, you can always rotate your four foreign players. Rishi [Dhawan] gives us that balance," says KKR skipper Gautam Gambhir. Thisara Perera (Base price of 50 Lakh) - Played for RPS in 2016, unsold this time. M Ashwin (Base price of Rs 10 Lakh) - DD start the bid and RPS, who released him, join in. RPS are out at Rs. 1 Crore. They had bought him for Rs. 4.5 Crore last year. M Ashwin is sold to DD for Rs. 1 Crore. Tejas Singh Baroka (Base price of Rs 10 Lakh) - Gujarat open the bid and they bag him for his base price. Baroka sold to GL for Rs. 10 Lakh. Rashid Khan Arman (Base price Rs 50 Lakh) - MI open the bid. The second Afghanistan player preferred by IPL teams. Bids have crossed 3 Crore with SRH giving competition. MI out ar Rs. 4 Crore. Rashid Khan Arman, the 18-year-old legspinner, sold to SRH for Rs 4. Crore. Pravin Tambe (Base price Rs 10 Lakh) - SRH open the bid and they bag his for his base price. Pravin Tambe sold to SRH for Rs. 10 Lakh. Abu Nechim Ahmed (Base price 10 Lakh) - He played for RCB in the 2016 season. Unsold. Aniket Choudhary (Base price 10 Lakh) - RCB open the bid. GL enter the fray. Bids have crossed 1 Crore and now it has reached 2 Crore. Aniket Choudhary, the left-arm pacer who picked up a four-wicket haul for India A against Bangladesh, sold to RCB for Rs 2 Crore. T Natarajan (Base price of 10 Lakh) - He's called Mustafizur in local TN circles. RPS and KXIP interested in the left-arm pacer. KKR join in, RPS back out and KKR back out of Rs. 1.5, SRH join in, and the bids have crossed 2 Crore. SRH back out at 3 Crore, bid it with KXIP. T Natarajan sold to KXIP for Rs. 3 Crore. Nathu Singh (Base price of 30 Lakh) - RPS and GL enter the fray. Nathu Singh sold to GL for Rs. 50 Lakh. He is the franchise's first buy in this auction. Basil Thampi (Base price of 10 Lakh) - RPS start the bid, Gujarat join in. RPS back out at Rs. 85 Lakh. Basil Thampi sold to GL for Rs. 85 Lakh. Aditya Tare (Base price 20 Lakh) - RPS begin the bid. DD join in. Aditya Tare sold to DD for Rs. 25 Lakh. Eklavya Dwivedi (Base price Rs 30 Lakh) - SRH and GL are interested. Eklavya Dwivedi sold to SRH for Rs 75. Lakh. Mohit Ahlawat (Rs 10 Lakh) - He scored a triple hundred in a local T20 game. But no one interested. Unsold. Mahipal Lomror (Base price 10 Lakh) - He was with DD last season. No bidders this time. Unsold. Mohammad Nabi (Base price 30 Lakh) - SRH begin the bid, and are the only team to bid. Mohammad Nabi becomes the first Afghanistan player to be bought in the IPL auction. K Gowtham (Base price 10 Lakh) - MI and KKR enter the fray. And the bids have crossed a Crore. SRH join in, the bid has reached 2 Crore. K Gowtham sold to MI for Rs. 2 Crore. Rahul Tewatia (Base price 10 Lakh) - KXIP get hold of him for Rs. 25 Lakh. Ankeet Bawane (Base price 10 Lakh) - DD start the bid, sold for his base price. DD get hold of Ankeet Bawane. Tanmay Agarwal (Base price 10 Lakh) - SRH open the bid, sold for his base price. SRH get hold of Tanmay Agarwal. Imran Tahir is next, with a base price of Rs. 50 Lakh. Sadly for him, no franchise was interested. Imran Tahir unsold - a big surprise. But he might be presented later in the auction. Pragyan Ojha goes unsold, no takers for him at his base price of Rs. 30 Lakh. Brad Hogg, with a base price of Rs. 50 Lakh, goes unsold. Ish Sodhi, goes unsold twice. No takers for him at his base price of Rs. 30 Lakh. Spinners are up next. Lakshan Sandakan, the Sri Lankan spinner, is the first on the list after a minor good-up from Richard Madley. Sandakan has a base price of Rs. 30 Lakh. No takers for him. Lakshan Sandakan goes unsold. Ishant Sharma, released by RPS, starts with a base price of Rs. 2 Crore. No takers for the Indian pacer. Ishant Sharma goes unsold. Kyle Abbott, who started with a base price of Rs. 1. 5 Crore, goes unsold. Former Australia pacer, Mitchell Johnson is next. He starts with a base price of Rs. 2 Crore. MI have started the bid. Johnson played for KXIP last season before being released by the franchise ahead of the auction. Mitchell Johnson sold to MI at his base price of Rs. 2 Crore. Australia pacer Pat Cummins is up next - with a base price of Rs. 2 Crore. SRH and DD have started the bids. SRH have backed out at 4.5, DD have the bid and bag the player. Pat Cummins sold to DD for Rs. 4.5 Crore. Tymal Mills, the talented England pacer, is next - with a base price of Rs. 50 Lakh. MI and KXIP are interested. Bids have crossed 6 Crore and steadily rising. KXIP back out at Rs 7.2 Crore and RCB now join. MI are out at 7.5 and KKR enter the fray. Bids have reached 11 Crore now, currently with RCB. The second big buy of this auction. Tymal Mills sold to RCB for Rs. 12 Crore. Trent Boult, who played for SRH last season, is next - with a base price of Rs. 1.5 Crore. Mumbai Indians and KKR are interested in him. MI back out at 5 Crore. The bid is with KKR and Boult sold for Rs. 5 Crore to KKR. The immensely talented South Africa pacer, Kagiso Rabada, is up next - with a base price of Rs. 1 Crore. KXIP start the bid, DD offer competition. The bid has reached 5 Crore now, with DD. Delhi bag Kagiso Rabada for Rs. 5 Crore. Fast bowlers are up for grabs next. Nathan Coulter-Nile, the Australian pacer, is first - with a base price of Rs. 1 Crore. Nathan Coulter-Nile unsold. Sri Lankan wicketkeeper Dinesh Chandimal is next. He starts with a base price of Rs. 50 Lakh. But no team is interested. Dinesh Chandimal goes unsold. Johnson Charles, another West Indian, is next - a base price of Rs. 30 Lakh. Johnson Charles goes unsold. Nicholas Pooran, another West Indian, is up next - he starts with a base price of Rs. 30 Lakh. MI have the opening bid and bag him for his base price. Nicholas Pooran goes to MI for Rs. 30 Lakh. West Indies wicketkeeper, Andre Fletcher, is up next. He has a base price of Rs. 30 Lakh. But no takers for him. Andre Fletcher is unsold. Jonny Bairstow, the England wicketkeeper is up for grabs. He has a base price of Rs. 1.5 Crore. Sadly for him, there are no takers. Jonny Bairstow goes unsold. Wicketkeepers are up next. Ben Dunk, the Australian wicketkeeper with a base price of Rs. 30 Lakh, is up first. Ben Dunk is unsold. Stephen Fleming, chief coach of RPS, on Ben Stokes's signing: "Big player he is. He's the form allrounder. For this year we want to go in hard, so we're all in.With Ashwin at no eight, we have world class players. We might have a few weak areas.If you look at us on paper, we look very strong. It's a top eight that you really have to respect.With Stokes and Marsh as allrounders it gives you more balance in the side." Sanjeev Goenka, the team owner, on Stokes: "He's a complete player. He completes our squad. We've been lacking this genre of player. We have many heroes, but this is one hero we were lacking. We knew he was going to go expensive. We believe he's going to be available for the first 14 games and right now we are focusing on the first 14 games. We are very happy. We pretty much knew we aren't going to get him at a lesser. Steven Smith been consulted? Oh yes, Steven Smith, Stephen Fleming... everyone has been part of this decision. We didn't go for the individual, we wanted to fill those gaps that we had in our team and Ben Stokes clearly our No. 1, 2 and 3 preference. At the end of the first round, here's a look at the squads. Chris Jordan, the England allrounder who played for RCB last year, is up for grabs. He has a base price of Rs. 50 Lakh, but no takers for him. Chris Jordan goes unsold. Sean Abbott, the Australia allrounder with a base price of Rs. 30 Lakh, goes unsold. Corey Anderson, released by MI, is up next - with a base price of Rs. 1 Crore. DD begin the bidding and are the only team to bid. Corey Anderson sold to DD for Rs. 1 Crore. An uncapped IPL player, and a hot property in the current auction, is up next - with a base price of Rs. 2 Crore. Obviously teams are interested. MI and RCB in a heated bidding war for Stokes, DD join in. Bids have crossed 6 Crore and still going upward. KKR, surprisingly, haven't entered the fray for Stokes. It's between MI and DD and the bids have reached 10 Crore. And SRH enter with a bid of 11 Crore, DD still in the fray and RPS decide to join in, with a bid of 13.5 and SRH out at 14.5. Stokes sold to RPS for Rs. 14.5 Crore, the second highest buy ever in the history of IPL and the most expensive overseas signing. Irfan Pathan, released by RPS, is the next player. He starts with a base price of Rs. 50 Lakh. None of the teams are interested though. Irfan Pathan goes unsold. Angelo Mathews, the Sri Lanka allrounder, is up next - with a bse price of Rs. 2 Crore. Just as the hammer was about to go down, DD decide to bid at the last moment. Angelo Mathews sold to Delhi Daredevils for his base price of Rs. 2 Crore. Pawan Negi, the most expensive buy last year, is up for grabs. He starts with a base price of Rs. 30 Lakh. RPS bid first and Gujarat Lions join in. Both teams seem pretty interested in the left-armer as the bids go up. RPS opted to back out when Gujarat bid Rs. 55 Lakh. Just as the hammer was about to go down, RCB decide to join. Gujarat back out at Rs. 80 Lakh and SRH decide to join. The bids has reached 1 Crore and SRH decide to opt out. Pawan Negi goes to RCB for Rs. 1 Crore. Saurabh Tiwary, the left-handed batsman is up next, with a base price of Rs. 30 Lakh. He was with the Pune franchise last year, but no team is interested in him this time. He goes unsold. Capped allrounders are next. Ross Taylor, the New Zealand batsman, is up next. He had a base price of Rs. 50 Lakh but no takers for him. He goes unsold. Alex Hales, another England batsman, is up for grabs. He has a base price of Rs. 1 Crore. Teams though aren't interested in him and he goes unsold. Faiz Fazal, the left-handed batsman, is up next. He has a base price of Rs. 30 Lakh. No bids for him either and the 31-year-old goes unsold. Jason Roy, the England batsman who is uncapped in the IPL, is up next. He has a base price of Rs. 1 Crore. No bids for Jason Roy, who goes unsold. Eoin Morgan, the England limited-overs skipper is up next. He has a base price of Rs. 2 Crore. Kings XI Punjab have bid first and they are the only team to bid. He goes to KXIP for his base price. The hammer goes down. Madley begins, he reads out the rules and regulations of the auction. Batsmen are up for grabs in the first round and the first player is Martin Guptill. He has a base price of Rs. 50 Lakh. No bids for Guptill, who goes unsold. The event gets underway BCCI CEO Rahul Johri starting with his welcome speech ahead of the #IPLAuction. He hands over to the famed auctioneer Richard Madley. Auction is set to begin in a while. The key decision makers are making their way to their respective tables. Among them is Mahela Jayawardene, the new head coach of the Mumbai Indians side. Remember, Kolkata Knight Riders will be without Andre Russell, who's serving a one year ban after a doping verdict went against him. On the eve of the auction, Mitchell Starc decided to part ways with RCB. Expect both these franchises to bid big for the likes of Ben Stokes and Tymal Mills. Meanwhile, MS Dhoni is no longer the skipper of Rising Pune Supergiant; Steven Smith has taken over. Having released a handful of players ahead of the auction (including Kevin Pietersen, who won't be part of the auction), they have 10 slots to fill, including four overseas positions. There are also five Afghanistan players among the 130 overseas players up for grabs. The 359 players include 62 batsmen, 117 bowlers, 150 all-rounders and 30 wicketkeepers, and among them are 229 uncapped players. Who'll end up with big bucks? How many surprise buys will we witness? There will be some disappointments too. Brace yourselves for some high-octane action off the field! Who are the marque players for the 2017 auction? There are seven of them, who have opted for the highest base price of Rs. 2 Crore: Eoin Morgan, Angelo Mathews, Ben Stokes, Pat Cummins, Mitchell Johnson, Ishant Sharma and Chris Woakes. There are 15 more who fall under the bracket of Rs. 1.5 Crore and 1. Crore. Thee players are Jonny Bairstow, Kyle Abbott, Jason Holder, Brad Haddin, Nathan Lyon, Trent Boult, Alex Hales, Jason Roy, Corey Anderson, Nathan Coulter-Nile, Kagiso Rabada, Marlon Samuels, Daniel Christian, Grant Elliott and Andile Phehlukwayo. So, now that we have a fair idea of what the teams look like and an insight into the franchises' requirement, let's look at the players. Who will get the big bucks? Who are the ones to watch out for? Ben Stokes is one who would keep the auctioneer Richard Madley busy. Few other England players like Tymal Mills, Jason Roy and Eoin Morgan too will keep the teams interested. Narbavi lists the players to watch out for. Cricbuzz spoke to several personnel associated with the franchises to understand what the teams will be looking for in this auction. Here's the detailed analysis. Hello and welcome to our live coverage of the 2017 edition of the Indian Premier League (IPL) auction. As many as 359 players will go under the hammer but the maximum number of players that can be picked is 78, with each team allowed a squad strength of 27. This gives rise to the question: What is the ideal base price? Akash Sarkar explores. Current squad: JP Duminy, Mohammed Shami, Quinton de Kock, Shahbaz Nadeem, Jayant Yadav, Amit Mishra, Shreyas Iyer, Zaheer Khan, Sam Billings, Sanju Samson, Chris Morris, Carlos Brathwaite, Karun Nair, Rishabh Pant, CV Milind, Syed Ahmed, Pratyush Singh. Current squad: Suresh Raina, Ravindra Jadeja, James Faulkner, Brendon McCullum, Dwayne Bravo, Aaron Finch, Dwayne Smith, Dinesh Karthik, Dhawal Kulkarni, Praveen Kumar, Andrew Tye, Ishan Kishan, Pradeep Sangwan, Shivil Kaushik, Shadab Jakati, Jaydev Shah. Current squad: David Miller, Manan Vohra, Axar Patel, Glenn Maxwell, Gurkeerat Singh, Anureet Singh, Sandeep Sharma, Shardul Thakur, Shaun Marsh, Wriddhiman Saha, M Vijay, Nikhil Naik, Mohit Sharma, Marcus Stoinis, KC Cariappa, Armaan Jaffer, Pardeep Sahu, Swapnil Singh, Hashim Amla. Current squad: Gautam Gambhir, Sunil Narine, Kuldeep Yadav, Manish Pandey, Suryakumar Yadav, Piyush Chawla, Robin Uthappa, Shakib Al Hasan, Chris Lynn, Umesh Yadav, Yusuf Pathan, Sheldon Jackson, Ankit Singh Rajput. Current squad: Rohit Sharma, Kieron Pollard, Lasith Malinga, Harbhajan Singh, Ambati Rayudu, Jasprit Bumrah, Shreyas Gopal, Lendl Simmons, Vinay Kumar, Parthiv Patel, Mitchell McClenaghan, Nitish Rana, Siddhesh Lad, J Suchith, Hardik Pandya, Jos Buttler, Tim Southee, Jithesh Sharma, Krunal Pandya, Deepak Punia. Current squad: MS Dhoni, Ajinkya Rahane, R Ashwin, Steven Smith, Faf du Plessis, Mitchell Marsh, Ashok Dinda, Ankush Bains, Rajat Bhatia, Ankit Sharma, Ishwar Pandey, Adam Zampa, Jaskaran Singh, Baba Aparajith, Deepak Chahar, Usman Khawaja, Mayank Agarwal. Current squad: Shikhar Dhawan, Bhuvneshwar Kumar, David Warner, Moises Henriques, Naman Ojha, Ricky Bhui, Kane Williamson, Siddarth Kaul, Bipul Sharma, Ashish Nehra, Yuvraj Singh, Ben Cutting, Abhimanyu Mithun, Mustafizur Rahman, Barinder Sran, Deepak Hooda, Vijay Shankar.